No matter the direction you choose, it was the way you were meant to go. 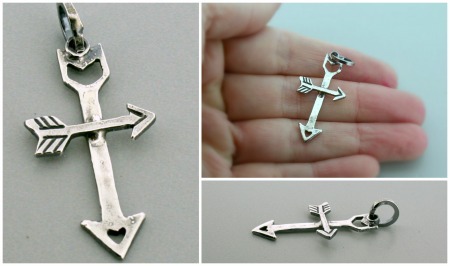 This sterling silver arrow cross pendant created from Courtney Marie's original arrow designs is a wonderfully lightweight piece to add to your jewelry wardrobe, perfect for any occasion! Order now in time for Christmas delivery!